As our busy lives and schedules pull us in many different directions through the days and weeks, we may not always be getting the recommended 7-8 hours of sleep each night. It is important to plan ahead and try to fit sleep into your schedule just like any other activity. It is more important than anything else you do in the day, because without sleep, you can’t concentrate, or be as productive in your day! Sleep deficiency can affect cholesterol levels and increase your blood pressure. This can lead to an increased risk of heart disease, kidney disease, diabetes, and stroke. 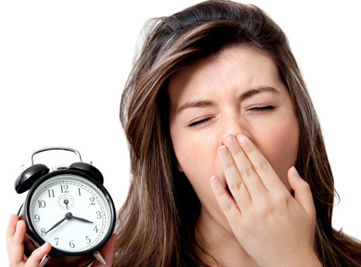 Lack of sleep also plays a role in our body’s immunity and ability to fight off viruses. When sleep is disrupted, we have a greater chance of becoming ill and have more difficulty fighting off viruses we are exposed to. When we lack sleep, our bodies go into a state of stress, causing an increase in our blood pressure. This leads to an increase in stress hormones so it makes it more difficult for us to fall asleep when it comes time to go to bed. Besides difficulty sleeping, this increase in blood pressure can also lead to heart diseases. By getting a full night’s rest, we can maintain a healthy blood pressure and avoid a spike in stress hormones by stopping the cycle. On days where you are feeling tired from a lack of sleep, your hormones involved with appetite become affected. These hormones are called leptin and ghrelin and they regulate satiety and hunger. When they become thrown off due to a lack of sleep, they are unsure what to do and can stimulate overeating. So, it is important to keep these hormones in check with a complet sleep each night to control and maintain your weight. Your energy levels are elevated after a restful night’s sleep. When you get the proper sleep, you feel more alert and active the next day. This will ultimately keep you in a better mood for that day but also help to increase the chance of getting enough sleep the following evening. Depression is a very serious illness that affects many people in society. Serotonin, a neurotransmitter involved in regulating our mood, becomes affected by our sleep habits. Monitoring levels of this neurotransmitter can greatly change one’s mood. High levels of serotonin are related to happiness, while low levels lead to vulnerability and depression. To avoid a drop in serotonin levels, it is important to maintain a healthy sleep pattern.